As an entrepreneur of a new, online business it can sometimes seem like your daily to-do list is substantial. What may have originated as a foolproof plan for simplistic, home-based sales can quickly amount to a handful of responsibilities as you set up your content, pictures, products and so forth. Fortunately, among the often hefty list of must-haves that every successful web store demands, there is one key area that can be cultivated in just 10 minutes a day. 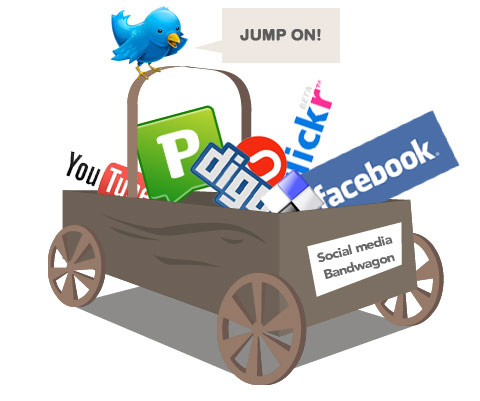 Social media is a new-age marketing platform that allows online-business owners to connect with a worldwide audience of consumers. Below you’ll find three fundamental ways – courtesy of SocialMediaExaminer.com – to create the ultimate social-media experience for your consumers. To create a solid foundation of social-media networking for your web business, you’ll need to set up accounts with the major interactive platforms like Facebook and Twitter. However, that doesn’t mean you need to overwhelm yourself by attempting to tackle several networks at once. Plus, if you’re sticking to the plan of spending no more than 10 minutes per day on social-media integration, you won’t have time to divide your attention and efforts among multiple platforms in the beginning. You’ll need to establish promotional branding (messages, images, etc. ), a company bio, a decent FBML page and an active wall. Focus on perfecting each network before moving onto the next, however, keep in mind that an active wall is the most crucial aspect. Click here to learn a few tricks about how to promote activity. For those who already have their social networks set up and polished, it’s best to alternate your efforts daily among the platforms. It’s called social media for a reason, which means that even if you’re the introverted type who prefers to observe all the hype and activity from the sidelines, you need to interact with your audience. By providing feedback to your followers you not only encourage more activity on your wall, but you also establish a stronger narrative for your business. On the flipside, establishing communication with your consumers allows you to control the flames of any fiery uproar that might arise; remember, those who provide feedback are often people who hold strong opinions and sometimes their thoughts can burn. If this facet of upkeep consumes your entire 10 minutes, at least you were able to connect with your followers, which is a key concept of social media. If your feedback is light that day (no complaints), spend the time getting to know your followers. Don’t separate your customers from your potential customers as anyone can become a business supporter if you treat them right. Every so often it’s beneficial to demonstrate a random act of kindness toward a social-media user – not necessarily a customer – when they least expect it. Seek out a person who seems lost about carrying out successful searches or creating hyperlinks and use your acquired breadth of knowledge to help them find their way. Even if you can’t provide a definitive solution to their puzzlement, you will have been successful in registering a positive image on the radar of a complete stranger. Such an action meets the ultimate goal of getting them talking about the experience with others. Don’t request that they visit your website or befriend you on Facebook; this method is all about them in the moment and all about you in the big picture. Remember that each of these steps is important; once you’ve mastered the basics of all three, concentrate on completing one or two actions per day – time permitting – and leave the rest for tomorrow.